I veered off onto different areas for a while, basically because the various topics of recent posts seemed to pop up and need to be written at that time. So now I want to return to the way crystals, rocks and stones have stayed stuck to me, despite moving from Queensland to the UK in 2002, returning to Australia in 2004, moving four times thereafter, and then moving to North Cyprus in February 2012. Just prior to leaving Boonah, Queensland, where we lived for eight years, I decided my time with crystals was pretty much over so sold quite a few to a friend. Alas and alack, however, the crystals had a different idea. I lived in Scotland for six months and made the mistake of visiting a mind, body, spirit fair in Aberdeen. And up popped the crystals again! Just prior to our trip to the city from the small village where we were living near my step-daughter’s house, I had a dream about a crystal which was either indicolite or iolite. At one of the first stalls I visited, I asked if they had any indicolite – I’d found it on-line and it’s quite a rare, expensive stone. Lo and behold, the stall-holder had just one piece she hadn’t put out yet, and I bought it straight away, a small, beautifully-shaped polished stone. 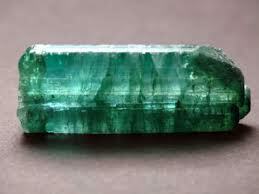 Indicolite is a rare, indigo-coloured form of tourmaline. It’s a beautiful colour and this stone has travelled with me back to Australia, to the three States where we lived – Western Australia, New South Wales (twice) and Victoria – and finally to North Cyprus. I wandered further around the exhibition, turned a corner and there was a large, raw quartz natural wand almost flashing a light at me. When I held it, it fitted into my hand like a glove, it felt like I’d received an electric shock and I couldn’t put it down. That too is still in my crystal collection. When we moved from Scotland to northern England, Nelson, to be precise, I finally got a computer and an internet connection. And THEN I discovered eBay and I was off and running with crystals again. 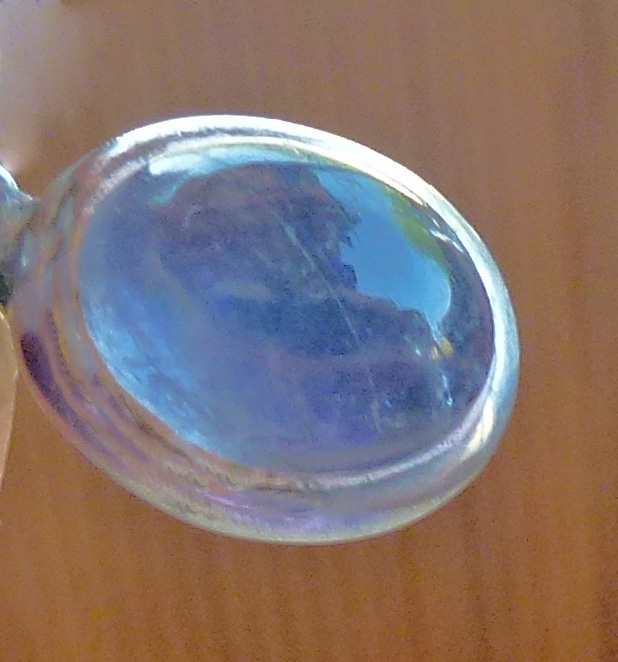 I found a lovely Iolite gemstone as a tiny pendant on the auction site, won it and have worn it on and off ever since. When we arrived in North Cyprus, I couldn’t find it anywhere and was really upset it was lost. Then I woke up in the middle of the night, suddenly thought to look for it, opened my jewelry case and there it was, right on top, looking at me, and I had been through that jewellery so many times before! I find when I wear this it really bumps up my psychic ability, but I wear it only when I feel it calls me. Now of course, most normal people would think that talking of a crystal “calling me” is quite off the planet and, I have to be honest, I do wonder about this myself. I would think of a crystal, look on eBay and there would be just what I’d been thinking of, I’d enter the auction and win it. And I had an ethical way of working with crystal purchases on eBay. As long as there were no bids, I’d put in an offer. But if someone else had already bid, it was theirs. It has worked out well over the years as I’ve won crystals and rocks which were rare and at rock-bottom prices. My husband got fed up with packages of rocks and crystals turning up regularly from eBay in the UK and the US, but it was on eBay in America that I really got more cluey about a huge range of rocks and crystals I’d never come across before. I did get ripped off once by someone who claimed to be selling special rocks from Africa which were basically a very common (and cheap!) mineral. One guy tried to gouge on postal prices so I told him to keep the polished quartz sphere I’d won, rather than fork out exorbitant postal costs. But mostly I was lucky in dealing with ethical eBay sellers. And then I came across a crystal site on Yahoo Groups, run by a guy called Fabeku Fatunmise, which seemed like heaven to me. He wrote at length about the metaphysical qualities of rocks, stones and crystals. He gave a perspective of stones as spirits or earth elders, he offered a wide range of crystals which opened my eyes to rocks and stones I never knew existed, and it was right up my alley. I have never been interested in the composition of stones, only in how they communicate to me and attract me. Someone may come to visit, mention they’d like a stone, I get an image of the stone in my collection, and in most instances it’s the one the visitor needs or connects with. It quite often narks me that a favourite stone might appear in my mind and be the right one for that person, but I’ve learned to accept that I don’t own crystals, I caretake them, and they have their own view of who they wish to reside with. Sometimes a stone may step forward which doesn’t fit the normal descriptions you get in the various crystal books circulating. I personally don’t like saying “what a crystal is for”. It’s far better for someone to browse, pick the stone that attracts them, and then tune in to see how they feel when they’re holding that stone elder. I teach intuitive crystal healing by getting workshop participants to work with energy in very simple exercises, then get them to hold stones with their eyes shut and see how they feel, then move on to choosing stones for others, with no regard to colours, chakras or whatever. It’s what you need on the day that counts, not what’s in a book with so-called hard and fast rules and regulations, as far as I’m concerned. When we returned to Australia, with a far larger rock collection than when I left, nothing much happened as far as any new entries into my collection went, until we moved to Woodenbong, in far north New South Wales, on the border with Queensland. There I came across the joys of rock fairs where “rock hounds” – fossickers – turned up with all the stones they’d fossicked around the traps at really low prices. I was in seventh heaven at these fairs. 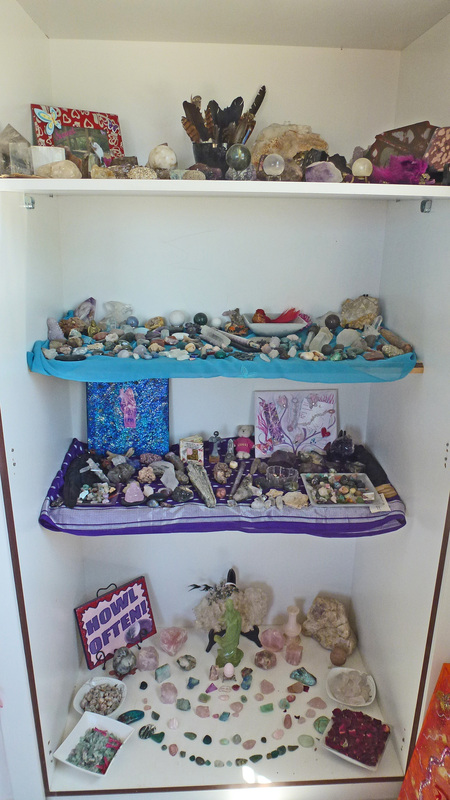 I added to my collection in Traralgon, Victoria, and also in Bowraville, New South Wales, so that quite a few boxes of crystals, rocks and stones were in our luggage when it shipped out to North Cyprus. 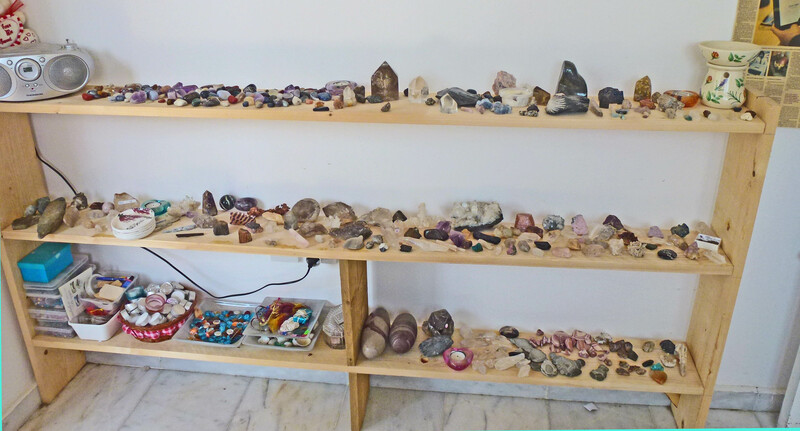 I looked around my study recently and decided that not too many people have as many rocks, crystals and stones in their homes as I do. In my next post, I intend to describe how I’ve come full circle – bringing my photography, art and crystal spirits together in a fusion of digital art. Enormous fun!